It’s been a big year with many Facebook updates already, for users and especially for businesses. Are you managing to keep up with the fast moving changes? 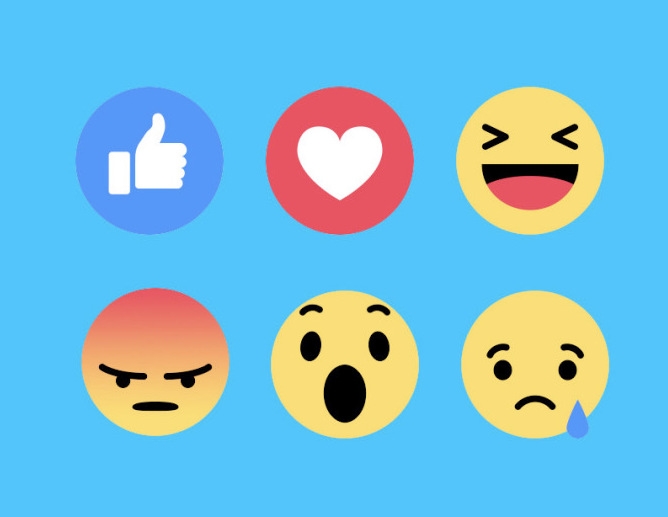 Facebook launches Reactions globally – a new way for users to express empathy (like, love, haha, wow, sad, angry) in the form of emoticons. Businesses will have access to new insights at some point to dive in to more granular analysis of how their audience is responding to content. Facebook Live video is rolling out to all users globally. Facebook wants to become the ‘live television in your pocket’ and one of the best tools for doing so is to broadcast Live video to your friends, fans and followers. This ‘instant TV’ tool lets you break news, share behind the scenes situations, do product demos, host Q&A sessions, conduct interviews, showcase unboxing and much more. Along with 360 video available on Facebook and in ads, Facebook recently announced 360 streaming video in the Samsung Gear VR (virtual reality). 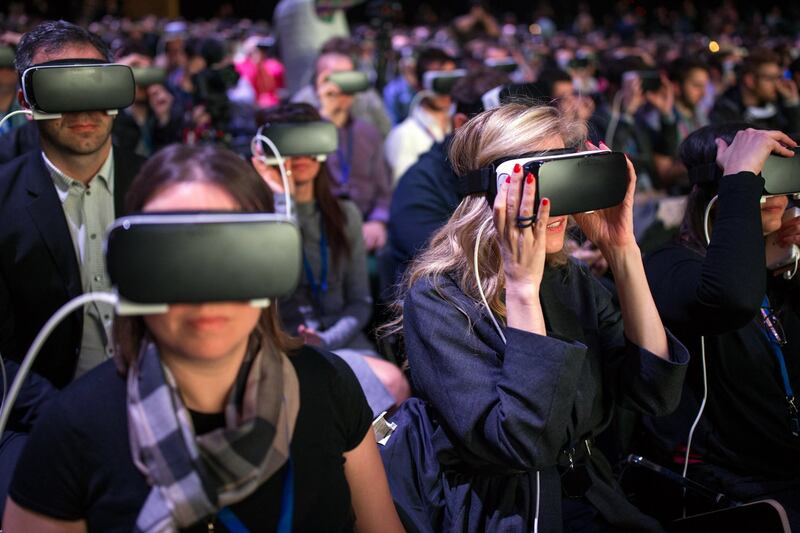 Virtual reality is Facebook’s ‘next big thing’ with much emphasis and investment in this growing area. Forward-thinking businesses need to stay up to speed with these advancements. A glimpse into the future of Facebook! Facebook launches Canvas – a full screen ad to help bring products to life on mobile. Approximately 90% of all Facebook users access the platform primarily via mobile. Therefore, you’ll want to make your content more immersive and fast-loading using features such as Canvas and Instant Articles. Instant Articles is coming to all publishers of all sizes, around the world on April 12th. (This Facebook update to be officially announced at Facebook’s f8 annual developer conference). Instant Articles loads 10x faster on mobile and is a more immersive way for users to consume your content. Plus, content owners can monetize through direct sold ads and keep 100% of the revenue. Or advertise through the Facebook Audience Network (a Google AdSense competitor). Carousel Ads offer more advanced features for savvy Facebook marketers, including using a mix of photos and videos and directing traffic to multiple links. Facebook recently allowed business Page Admins the ability to post organic, native carousel posts which can then be turned into an ad by boosting the post. Facebook Page Admins have much improved features for responding to messages. Plus, Pages can now respond to any comment through a private message, allowing sensitive or difficult situations to be taken offline quickly and effectively. Messenger for Business is the new 1-800 number. Businesses will need to deploy more highly trained, social customer care experts to properly handle the incoming private messages and dramatically improve i) customer care, ii) lead generation, and iii) sales! There’s a fine art to all this and it’s an area that is very close to my heart. Stay tuned for more. There’s also the new search feature on Facebook Pages, and the quiet roll out of local Professional Services and Places directories. As Facebook continues to ramp up Messenger for Business and seeks to roll out plans to monetize both Messenger and WhatsApp, you’ll need to make sure your business is poised to take advantage of these features. Social customer care, using Facebook’s tools in particular, should be a critical part of your plans this year onwards. Are your Facebook marketing efforts helping you generate a consistent flow of leads and customers? With the constant moving landscape of marketing effectively on Facebook, it’s crucial that you get proper education. 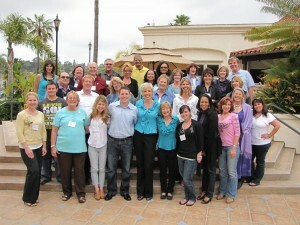 Come attend my live Facebook Marketing Workshop in San Diego on April 20th. You’ll learn the very best practices for growing your business on Facebook and get hands-on help from me and my team of professionals. 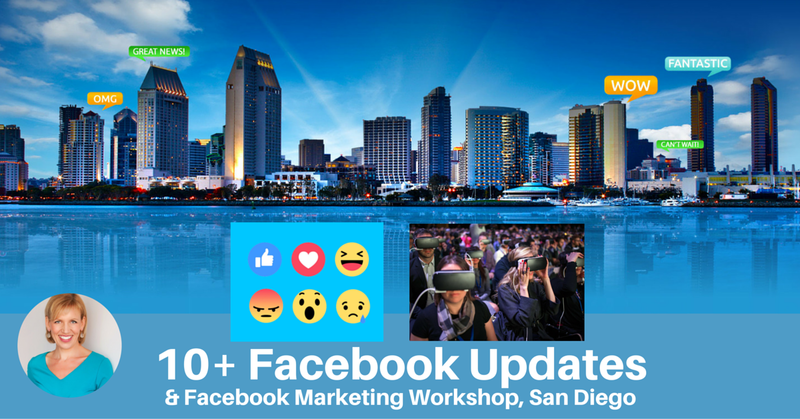 Meet me in America’s finest city, San Diego, California, and get the BEST Facebook marketing + ads + campaigns + social media marketing techniques from the biggest names and brands in the industry. By popular demand, I’m bringing back my exclusive live event – designed to immediately follow Social Media Marketing World. After attending the big social media conference with 3,000 attendees, you’ll get to connect with a much smaller group in an intimate setting, learn the latest Facebook marketing best practices, mastermind ideas together, discuss highlights of SMMW16, and leave with the exact Facebook and Instagram marketing methods you need to skyrocket your 2016 social media results. This highly interactive event includes a delicious, healthy lunch for all attendees. Our workshop will be at the Marriott Marquis San Diego Marina hotel. You’ll learn how to increase your Facebook and Instagram ad conversions, get a much better ROI and boost your sales! Video created by Mari using Animoto. Check out Animoto for Business! This dynamic one-day event is scheduled for the day immediately following Social Media Marketing World (SMMW16): Wednesday, April 20th, 2016. Whether you have already purchased your ticket to SMMW16 or not (or you’re not planning to go), you’re invited to join me and my team for this intimate gathering as we drill deep into Facebook (and Instagram) marketing and advertising.